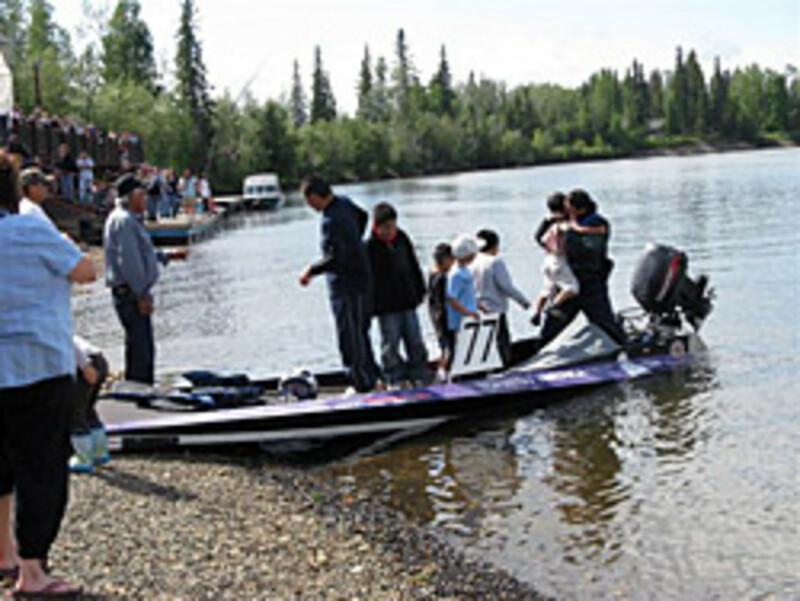 Albert Attla and his crew on Phat Albert crossed the finish line in first place using a Tohatsu 50-hp engine in the 47th annual Doyon Yukon 800 Marathon riverboat race. The Yukon 800 Mile Marathon, the grandfather of Alaska&apos;s contemporary endurance race, is a two-day high-speed riverboat race. The race on the Chena, Tanana and Yukon Rivers runs through hundreds of miles of Alaskan wilderness. Sponsored by the Fairbanks Outboard Association, it is billed as the longest, roughest and toughest speed boat race in the world. Competitors build the low-slung 24-foot long boats from scratch. They are powered with 50-hp regulation engines that can reach speeds in excess of 70 miles per hour. "Each year the competition in this endurance race increases and thanks to the Tohatsu 50-hp engine on the Phat Albert, we won first place with an elapsed time of 12 hours, 55 minutes and 13 seconds,” Attla said.